The first week of Transform :20 is in the books and Woah! If you think you can’t get a good workout in just 20 minutes I challenge you to try and hang with Shaun T. There were two days this week I didn’t think I’d make it through. But, you dig deep, push through, try not to barf and then all of a sudden you’re done and trying to remember who you are and where you’re at. 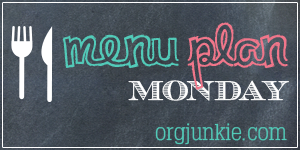 Here’s this week’s menu based on Transform :20 Meal Plan A. My menus for the next few weeks are based on the Transform :20 Meal Plan A eating plan. You can find out more about Transform: 20 HERE. If you are on any of the other eating plans you can use the menus I share as a base plan and just add in containers for your eating plan. And in case you are doing a different workout program you should know that the eating plans across programs are all pretty much the same. The only exception I’ve found is 80 Day Obsession Meal Plan A. So you can use this meal plan for 80 Day Obsession, LIIFT4 and 21 Day Fix.